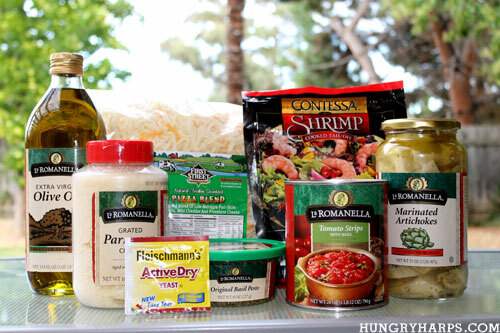 I have been shopping at Smart & Final for as long as I can remember, so when I was asked to create a recipe using products from their La Romanella line – I was totally game!! For those who have not had the pleasure of shopping at a Smart & Final, let me share with you why I love them. :) They are a small warehouse store that carries quality food and supplies – no membership required and the prices are AMAZING! I have never been anything but satisfied with my purchases from Smart & Final, from their produce to their wonderful selection of foodservice items. 2. Spread pesto over pizza crust, we used a spatula and it worked great! 6. Let cool, serve with grated parmesan cheese and Enjoy! If you live in California, Nevada or Arizona check out Smart & Final’s store locater to find your nearest location. If you can make it in to your nearest store by October 18th and buy a bottle of Redwood Creek Wine ($4.99) you will receive one 16 oz. 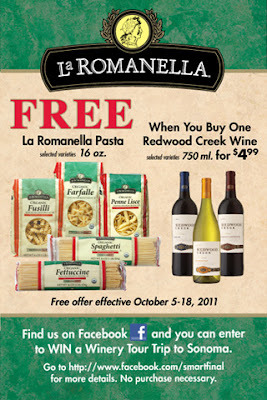 La Romanella Pasta for free. Yes, for free! 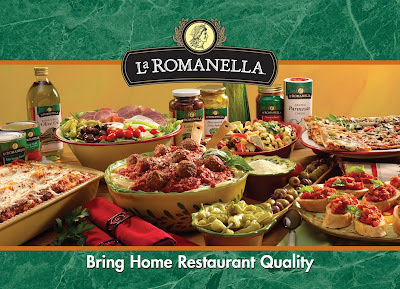 As part of the La Romanella promotion, Smart & Final is giving one winner a trip to Sonoma for wine tasting! Click here or on the picture below to get to their Facebook page to enter the contest. (The winner must live within 20 miles of a Smart & Final) Good luck! Oh goodness, my mouth is watering! That looks delicious! 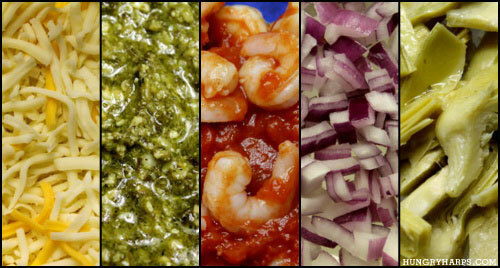 The ingredients and the pictures tell me that this deserves a place on my dinner table. 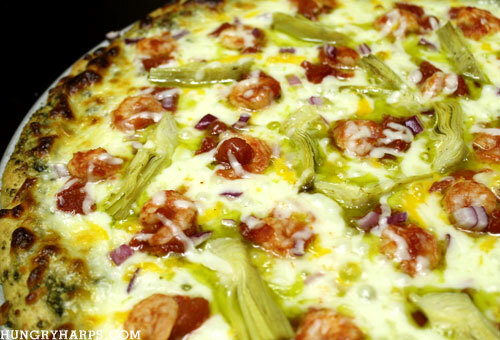 Love the flavors in that pizza-well done. 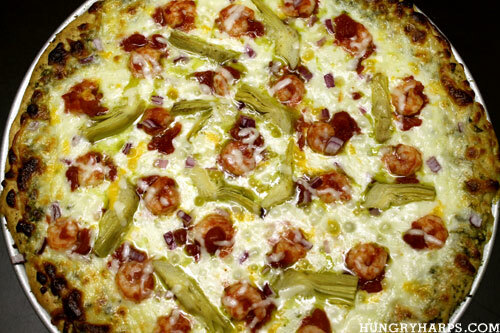 I love shrimp, so of course I MUST MAKE THIS. Your pictures are very crisp and colorful, and I've got to find the La Romanella products here in the Washington D.C. areas. Kudos for a delicious looking post!